PAINTING WALL MURALS! 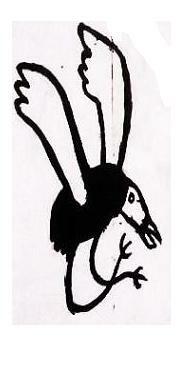 Hieroglyphic Street Art: The Bird rescue and the Invasion of the Flies, Holes & Roach Monsters. A fleet of angered aviators soar towards their imprisoned and mutated brethren while giant mammals turn into insects on the walls of the Ontario College of Art and Design! 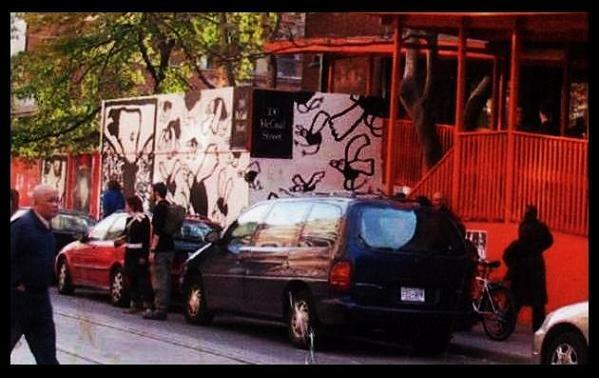 These were my first muralist experimentations. 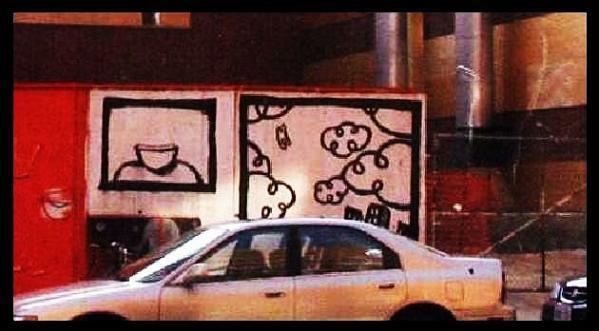 I did graffiti on the construction walls of the art college way back in 2002. The temporary plywood hoardings made for an ideal canvas as I knew no one would be offended and that it was very likely that the renegade project would actually be encouraged by the institute (It wasn’t). On the front of the building I did the Bird Rescue piece. Using a cave-painting aesthetic I created a modernized parable of man versus nature. 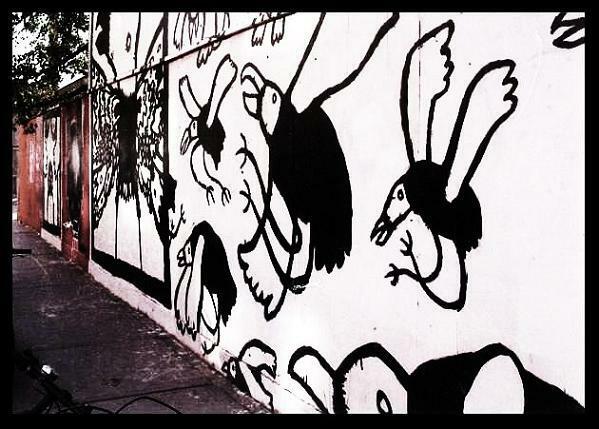 One side of the mural featured a flock of strange surreal birds flying towards an isolated and entrapped aviator on the opposite side of the wall. The flock is shown a free and floating reminiscent of children’s drawings while the imprisoned bird is aggressively screaming with wings spread like a crucifix. The trapped creature also has all sorts of small circular deformities meant to represent the genetic manipulation or experimentation which could only be achieve by mankind. Using the back side of the building I completed a 150 foot mural featuring various humanoid Roach characters eating insects, watching television and struggling with unusual orifices. Unfortunately I didn’t believe in documenting my work at the time, a somewhat nihilistic decision based on an idea I had that the world was going to end before any photographs of my artwork would be of value. I was right too, it did end and all this stuff you are reading is merely a dream of little or no real consequence. So it goes! Photographs 1-3 by Max Allen and 4 by Claire Egan.